With everyone sure that Daniel Ricciardo would stay at Red Bull for another two seasons, it however was not the time to count chickens. With the plum seats at Mercedes and Ferrari not up for grabs, the only seat that was left in the manufacturer teams was Renault. The first half of the season Ricciardo was just putting up with the feisty Dutchman Max Verstappen, but when Verstappen’s salary package was announced and was more than Ricciardo’s this prompted the winds of change. Undoubtedly, Ricciardo remembered the other Aussie previously at Red Bull, Mark Webber, who famously said, “Not bad for a Number Two driver,” when he won the British Grand Prix. Verstappen’s new contract literally pushes Ricciardo behind. Ricciardo said, “It was probably one of the most difficult decisions to take in my career so far. 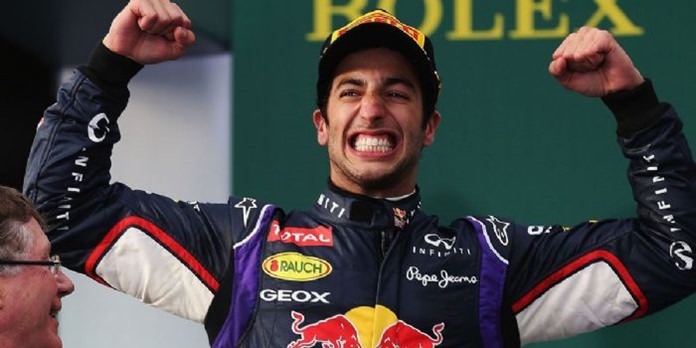 But I thought that it was time for me to take on a fresh and new challenge,” Ricciardo said in the statement. Renault’s team president Jerome Stoll and their Managing Direction Cyril Abiteboul know the signing will help in the teams’ push to reclaim another title. “Signing Daniel Ricciardo is a unique opportunity for the Groupe Renault towards this objective that could not be missed. We welcome Daniel’s arrival to our team, still in the making, but more motivated than ever,” Stoll said. “Daniel’s signing underscores our determination to accelerate our progress towards the forefront of the sport,” Abiteboul added. And as a footnote, I raced against his father in 1996.